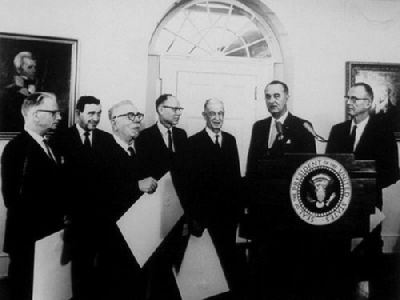 above: Norbert Wiener, with President Lyndon Johnson and Vanevar Bush (left Johnson), another scientific founder of the cyber era and a member of the organization MJ12.Une picture is worth a thousand words! It is impressive to note that the work of the man whose social thought is the very origin of the themes of « consumer society » and the « global village » also remains unknown to the general public . 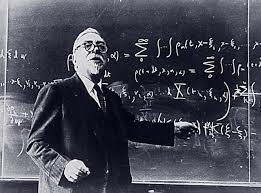 Cybernetics is the science of control systems , living or non-living , founded in 1948 by the American mathematician Norbert Wiener . Our world consists entirely of systems , living or non-living , overlapping and interacting . Computers and all the intelligent machines we know today are applications of cybernetics , cybernetics known also provide powerful methods for the control of two major systems : the society and the economy . A cybernetic system can be defined as a set of interacting components , interactions between elements may consist of exchanges of matter , energy , or information. These exchanges constitute a communication in which the elements react by changing status or changing their action. Communication, signal , information, and feedback are are central concepts of cybernetics and all systems, living organisms , machines, and networks of machines. When items are organized in a system, the interactions between the elements give the set of properties that do not have the elements separately. We say that « the whole is greater than the sum of its parts . » For example, an animal manifest properties ( running, hunting, watching , address … ) , that does not show its organs separately. And these bodies themselves are systems that have properties that do not have their elements, namely cells , etc. . Similarly, a machine ( eg, a computer ) has greater than the sum of its component properties. Cybernetics can be seen as especially critical in the era of information and complex systems. Control of complex systems we have created, as well as the understanding of this complex system other biosphere , are among the major challenges for the 21st century. Cybernetics is essentially a science of control and information to knowledge and control systems . The etymological meaning of the word cyber means « the act of maneuvering a vessel, to govern » (Greek Kubenêsis ) . When cybernetics was invented , the U.S. government wanted to classify » secret » . With the opposition of Norbert Wiener , Cybernetics was released but its distribution was limited to a circle of specialists. Currently, most books on cybernetics are « exhausted from the publisher , » and most people do not know what cybernetics ( or they wrongly associate trendy « cyber » or video games) . 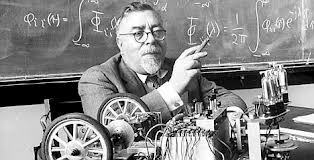 Norbert Wiener was aware of the impact that the application of cybernetics would have on society . In a book published in 1950, » Cybernetics and Society » , it provides the end replaced by intelligent machines human labor , and warned politicians against the consequences of use of cybernetics that is not accompanied by a evolution « post -industrial » structures of society in which man could finally be released from work. Otherwise, he warned , there will be an unprecedented increase in unemployment and social exclusion, which can ultimately lead to the gradual disappearance of democracy. But cybernetics could also be a source of positive and fruitful inspiration for the invention of » capitalism with a human face » , reconciling man, » the economy , and the environment. And … as a hobbyist , I will explain my political vision of capitalism with a human face that I associate with the current political evolutionism and movement of evolution. We are in a New Era and our political vision will change more than we can see with our eyes, now ! The great thinker of social control … on the blackboard!